Chicago Bicycle Accident Lawyer | Illinois Bicycle Lawyers at Keating Law Offices: Thank you, Mayor Daley. As Richard M. Daley's long tenure comes to a close, many of his decisions in office have been controversial and, in some cases, the subject of scandal. 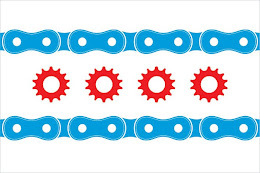 But one area where Mayor Daley's long reach has had large and positive benefits is in the expansion of Chicago's bicycle infrastructure and bicycling related policies. In large part thanks to Mayor Daley's love of bicycling, Chicago saw an expansion of bike lanes, bike ambassadors, and bike racks. We now have a bike sharing program, the sight of a bicycle-powered rickshaw isn't an uncommon event, and Lake Shore Drive is closed one day a year just for bicyclists to enjoy. 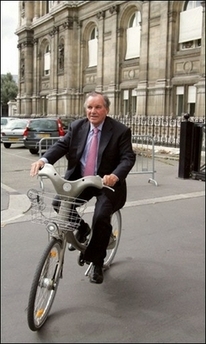 And maybe most importantly Mayor Daley oversaw a Chicago City Council that made sweeping changes in 2008 to Chicago's laws for bicyclists, the 2008 Chicago Bicycle Ordinance. These laws made bicycling in Chicago easier and safer. Along the way bicycling in Chicago moved from a subculture to an integral part of Chicago's cultural fabric. To paraphrase Daniel Burnham, "no small plans were made" as Chicago worked to be "the best bicycling big city in the world." During Mayor Daley's term in office the Chicago bicycling community thrived under his leadership and because of his vision the "City That Works" is now the "City That Bikes." While many people have their criticisms of the Mayor, when it comes to bicycling in Chicago Da Mayor will always be My Mayor. Thanks, Mayor Daley.